WHO plays a vital role in the regulation of medical products. At the global level, WHO works to develop internationally recognized norms, standards and guidelines for medicine quality, safety and efficacy. At the country level, WHO provides guidance, technical assistance and training to enable countries to implement these guidelines in the context of their own specific regulatory environment and needs. At the regional level, WHO supports countries in building effective medicines regulation systems that promote and protect public health by ensuring certain standards. Medicines are of the required quality, safety and efficacy. 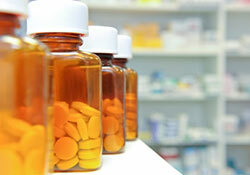 Medicines are appropriately manufactured, stored, distributed and dispensed. Illegal manufacturing and trade are detected and adequately sanctioned. Health professionals and patients have the necessary information to enable them to use medicines responsibly. Promotion and advertising are fair, balanced and aimed at responsible drug use. Unjustified regulatory work does not hinder access to medicines. As a focal point for the United Nations prequalification programme, WHO also provides specific technical assistance, and training to manufacturers and regulators in the WHO European Region to help them achieve internationally recognized quality standards. The intention is to give a better understanding of what is required and why, particularly for medicines for HIV/AIDS, tuberculosis and malaria; reproductive health products; and neglected diseases. Since quality systems are built by manufacturers and assessed by national authorities, the quality of medicines and the capacities of both to safeguard patient safety should be developed equally. Regulation is primarily concerned with enabling patient access to high-quality, safe and effective medical devices, and restricting access to products that are unsafe or have limited clinical use. When appropriately implemented, regulation ensures public health benefit and the safety of patients, health care workers and the community. Thus, assisting Member States through regulatory guidance, training, coordination and promotion of international best practices is a priority for the Diagnostic Imaging and Medical Devices team based at WHO headquarters in Geneva. WHO has a mandate, as outlined in the World Health Assembly resolution WHA60.29 to encourage Member States "to draw up national or regional guidelines for good manufacturing and regulatory practices, to establish surveillance systems and other measures to ensure the quality, safety and efficacy of medical devices and, where appropriate, to participate in international harmonization". Furthermore, access to quality medical products is one of six WHO leadership priorities.